I liked the video a lot. ^_^” I love the super cute people we get on here. And ze explained the concept a lot better than some of the accompanying links. I think of it similarly to how I see the term “atheist.” There’s 2 types of atheism – passive and aggressive. But passive is more common, and more relevant to this comparison. Passive atheism is nothing more than the lack of belief in deities. It does not proclaim that deities do not exist – it only lacks belief. And yet even in the absence of belief, and with no attempt made to answer the questions that religion poses, a passive atheist can still know right from wrong, experience love, etc, without any particular desire to label those experiences as deriving from a certain origin, or have a certain explanation or purpose. Passive atheism is defined by the lack of something, and yet, like neutrois, it is observable and to an extent definable. Passive atheism is the idea that it’s ok to have questions with no answers. I think neutrois is the same idea, as applied to the topic of gender. Cat- that sounds more like ‘genderless’, or the lack of a gender identity. 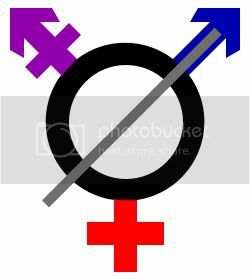 As a neutrois, I definitely believe in and understand gender. I have a need to transition that’s just as strong as any FtM or MtF. While I do explain it via the lack of something- it’s not that I lack a gender identity, I have one, and when I phrase it in terms of the current gender binary it comes out sounding like the lack because I’m not male and I’m not female and I’m not a mix of the two. Genderless people are people without gender identities- and that sounds more like the atheist version of gender. A lot of them even have a hard time believing in and understanding gender. If we are going to make the academic world aware of this language this is one way of contributing. There are numerous peer reviewed journals that would be interested. I really could use the connection so as to minimize challenges and when they are received, respond accurately and in an informed manner. HA Burnham, as far as I am concerned, is a life saver for some of us. And for that, I would like to support the work. Many, many thanks with crossed fingers! We’re a creative lot and I believe in six degrees of separation. Can we see how quickly HA Burnham will e-mail me? OK, one, two, three…..GO!